Susannah Rosenstock is Director of Art Toronto, Canada’s only Modern and Contemporary fine art fair. She was previously Art Toronto's VIP relations and programming manager for 4 years, and before that was based in New York as an art advisor managing large corporate and private art collections. Jennifer Klos is an art advisor and curator based in Dallas. She’s President of Collector House Inc., an art advisory firm that works with private collectors in the US and Europe. For eight years, Jennifer worked as Curator at the Oklahoma City Museum of Art. Monica Pajarín is a Luxury Advisor and Aesthetics Director based in New York City and Puerto Rico. She also owns Turisteando, a fine art and cultural interest private tour company, and New Factory Gallery - an alternative exhibition pop up space. Enrique Mitjans is an art consultant and advisor based in Buenos Aires. He worked for a number of prominent Argentine galleries before setting out on his own to help clients source artwork. Enrique is passionate about photography and regularly participates in Buenos Aires Photo, one of the biggest art fairs in Latin America. Nicole Gordon is the Founder of the blog, Art Is My Oxygen, and an Editorial Contributor for Sold Magazine. She's also an Online Author for Beautiful Bizarre Magazine. Over the past two years Nicole has interviewed over 140 artists from around the world. Nicole herself holds a Fine Art degree in Sculpture. Kathryn Roberts founded the international Cork Street Open Exhibitions in 2007 which ran until 2013. Kathryn also founded Elizabeth Beecher Publishing, pioneering the creation of iArtBooks available on iBooks with artists such as Maslen and Mehra and Margaret Evangeline, working in conjunction with writers such as Edward Lucie-Smith, Estelle Lovatt FRSA, museums, and galleries. Bryan Yedinak is Co-Founder of Modernbook Gallery (now Themes+projects), an art gallery/bookshop hybrid. Over the past 20 years, he has curated over 100 exhibitions and has designed stands for art fairs in cities around the world. 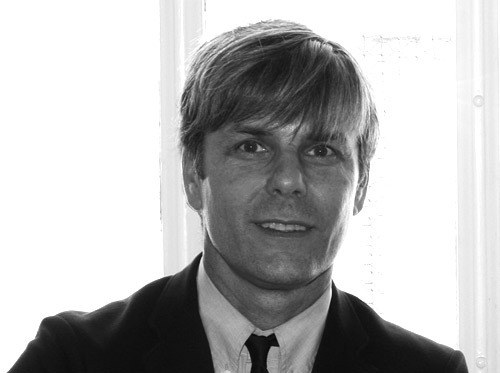 Bryan is currently on the advisory board of Modern Luxury, an interior design publication, and is a member of the San Francisco Art Dealers Association.